We are pleased to announce that Lauren Clark is our Harper Adam’s University Graduate of the Year. 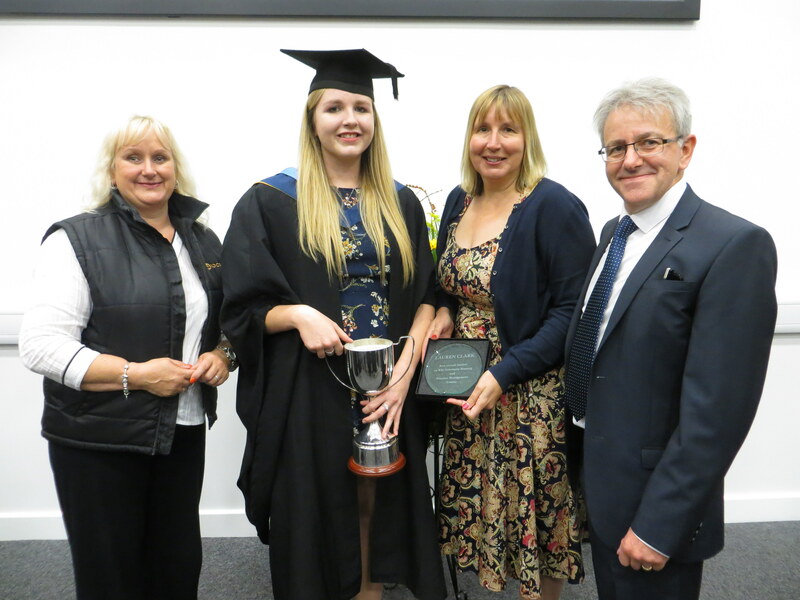 A1 Locums has over the last 5 years sponsored an award for the best overall student on BSc Veterinary Nursing and Practice Management course and has supported the Careers Fairs and lecture sessions, with training on ‘How to be a successful Locum’. We have asked Lauren to summarise about her time at Harper Adams University. I thoroughly enjoyed my time at Harper and loved every aspect of the course. The knowledge I gained through a mixture of formal lectures, practical sessions and tutorials along with the excellent facilities and supportive, knowledgeable teaching staff fully prepared me for a career as a veterinary nurse. I found the course very interesting; covering a variety of subjects from physiology, medical nursing and advanced nursing to more specialised topics such as physical therapies, equine nursing and practice management. Small animal nutrition is a particular interest of mine, which was the main focus for my final year dissertation. I investigated the use of nutritional assessments and feeding plans in hospitalised cats and found that the use of such assessments were effective at preventing weight loss in cats during hospitalisation. My findings emphasise the importance of nutrition in ill and injured animals as an aspect of improving patient care and is something I have managed to integrate into my current practice. I am currently working as a registered veterinary nurse at a busy first opinion small animal practice in Buckinghamshire where I completed my year-long placement as part of my course. Here I undertake many roles of a veterinary nurse including anaesthesia monitoring, medical nursing and inpatient care, laboratory work and nurse consultations. I really enjoy the variety the job brings, however I would like to undertake further study in a more specialised area such as small animal nutrition or surgical nursing. In the future I would love to take my nursing skills abroad and volunteer or work as veterinary nurse in places such as Africa, Australia or New Zealand and expand my skills even further. I am thrilled to be the recipient of the A1 Locums award; the course has been very challenging for me both practically and academically and I feel proud of my achievements. I am excited to see what the future holds for me as a veterinary nurse and I feel honoured to be a part of this growing profession.